This week The Young and the Restless promises "it doesn&apos;t get any bigger than this" in its "Dire Reprecussions" preview. So what can&apos;t get any bigger? Bags of cash. I&apos;m sure we&apos;ve all seen bigger bags of cash on TV. Crime scenes. Been there. Seen that. Clues. Oooooh! Super sleuth Dylan (Steve Burton) is on the case. Adam (Justin Hartley) is tazed. For shame! There are a lot of tears. Chelsea (Melissa Claire Egan) and Chloe&apos;s (Elizabeth Hedrickson) tear ducts get a work out. Phyllis (Gina Tognoni) is shocked. I should have really screencapped that expression. Victoria (Amelia Heinle) is a terrible slapper. Any surprise? 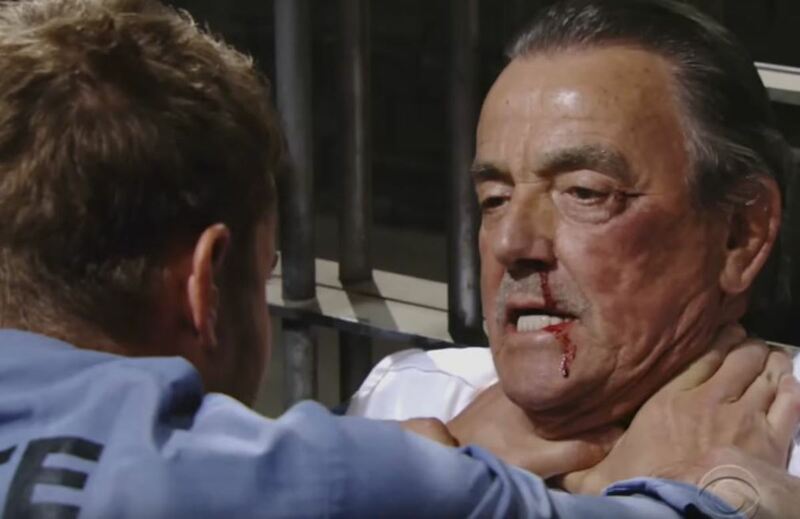 Adam gets his hands on Victor (Eric Braeden). Watch The Young and the Restless preview below!